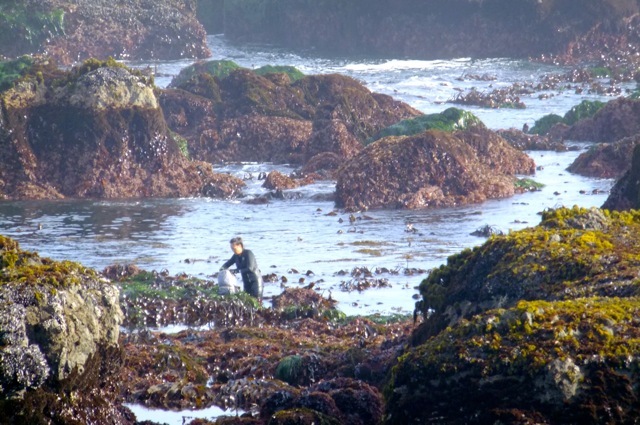 Nori cell walls lack cellulose, but are protein-rich—humans are able to digest it, unlike most kelp. This seaweed is only 1-cell thick! That’s why it is pliable and perfect for making sushi rolls. Gently tug on the raw plant. Harvest at low tide in April and May. Always use scissors or sharp knife to harvest. Leave the holdfast so the nori will regrow and produce reproductive structures. A great travel and backpack food because it is so nutrient-dense: high in protein, Vitamin A, B-6 and C, along with many minerals. Japanese have been cultivating it for 300 years. Nori does not naturally dry into flat sheets! Traditional techniques are similar to paper-making. Toasting nori makes it taste better and improves the texture: Hold store-bought sheets over a kitchen burner until edges start to curl and the sheet feels stiff. Wildcrafted Nori: Harvest, dry, store until ready, then lightly toss with olive oil, place on sheet pan and bake for a few minutes until crisp and shiny. Natural history: Technically a red algae, although the color varies widely. Life Cycle: Porphyra undergoes 3 life forms to complete the reproductive cycle. 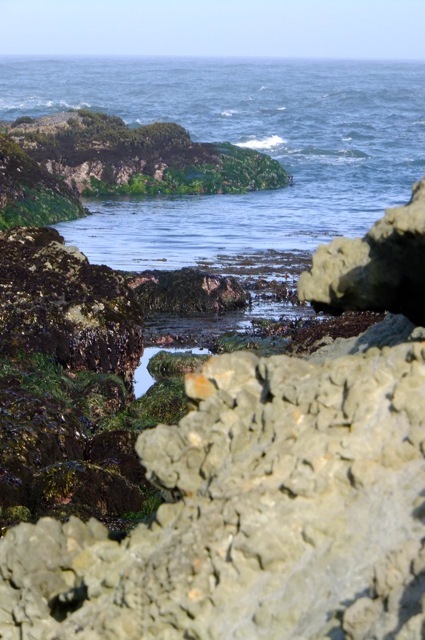 Intertidal Zone Habitat: Mid to high intertidal zone. Note the black band.